How many times has your child breathlessly run up to you, eager to share something about the best Tiger they've ever known, or practically begging you to put on Daniel Tiger? Is it weekly? Daily? Hourly?! We'd believe all three. 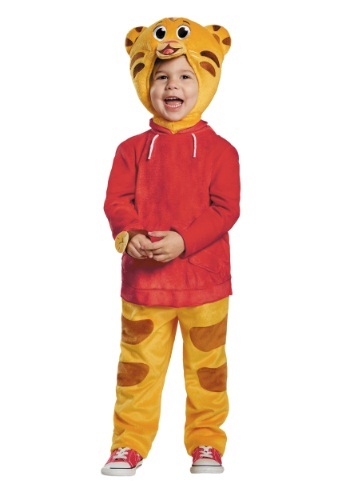 Because Daniel Tiger is one of the best TV shows out there for your little ones. Based on Mister Rogers' (yes, that Mister Rogers!) Neighborhood of Make Believe, Daniel Tiger's Neighborhood follows the adventures of Daniel (you probably already knew this one, right?) along with his friends, O the Owl (just O, which is pretty cool when you think about it. Like if Madonna just went by "M"), Katerina Kittycat, and more. And the show is specifically designed to help young children learn about their emotions and how to handle them properly, along with respecting others. The perfect thing for a parent to show their quickly growing kiddos. Of course, your kid doesn't care about all that "learning" stuff, at least not consciously. Instead, they're just thrilled to have a bunch of animal pals to spend time with, sharing in their adventures and seeing how their relationships develop and grow. How excited will your tike be to suit up as the very best tiger around, not just orange and striped, but with Daniel's signature sneakers and cardigan hoodie. There's a chance your kid might never take this costume off, and in fact might demand that you dress up as O the Owl (still our top choice) or Prince Wednesday, or maybe even the Red Trolley! But how can you possibly deny that cute tiger face? 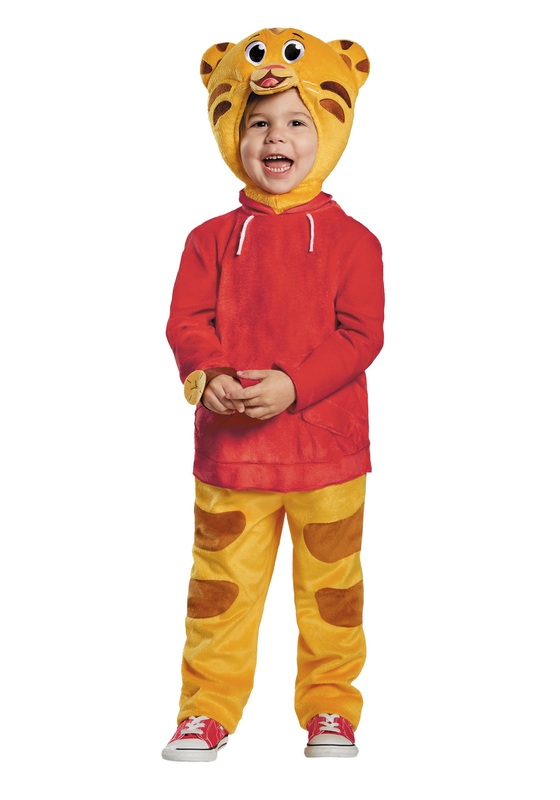 All you care about is that this costume will bring him hours and hours of joy!